Via check-in/check-out, you can calculate the number of nights a user spends in a place. 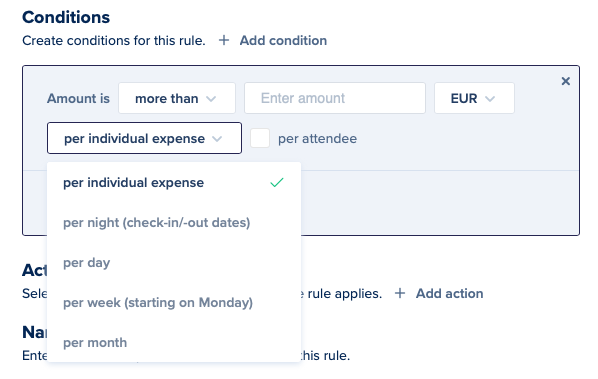 This can then be used for reporting or in the expense rules to add specific rules. 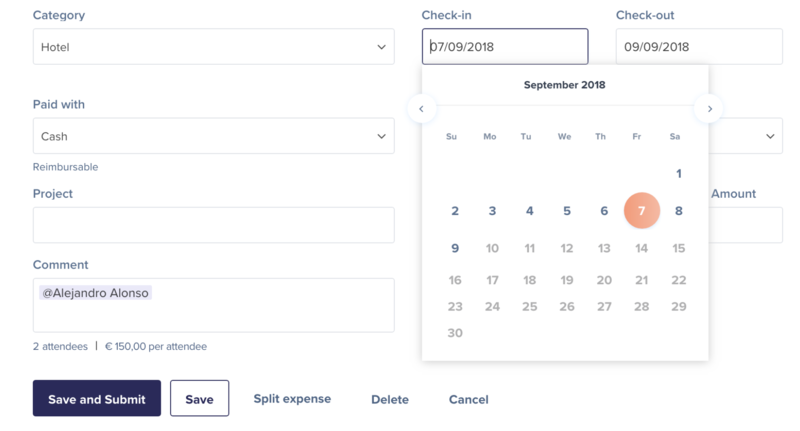 To set this up, go to the category you want to activate this for and turn on the toggle 'Check-in and check-out are required when using this category for an expense'. Whenever, a user now creates an expense, it will be required before submitting the expense.